Siddalepa Ayurveda’s annual art competition, the Kekulu Art Competition touched the very core of existence of tiny tots when they were given the task of depicting their family with their pencil sketches and pastel colours. In a burst of expression of what they hold most precious in their lives, preschool children from all around Sri Lanka displayed their inherent artistic talents in a riot of colours as they presented their perceptions in art of ‘My Family’. The winning entries were judged on outstanding natural talent, attention to detail and use of colours, etc., but the 100 best applications out of thousands from around the country were all excellent depictions of natural talent in young children, from two and a half years to five years of age. Giving the true meaning to ‘family’ in our Asian culture, these preschool children included their extended families of grandparents and their pets in their paintings. 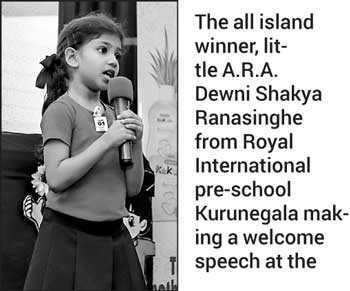 The art competition was held for the seventh consecutive year for preschool children in all 25 districts of the country, with an overall winner from each of the 25 districts. 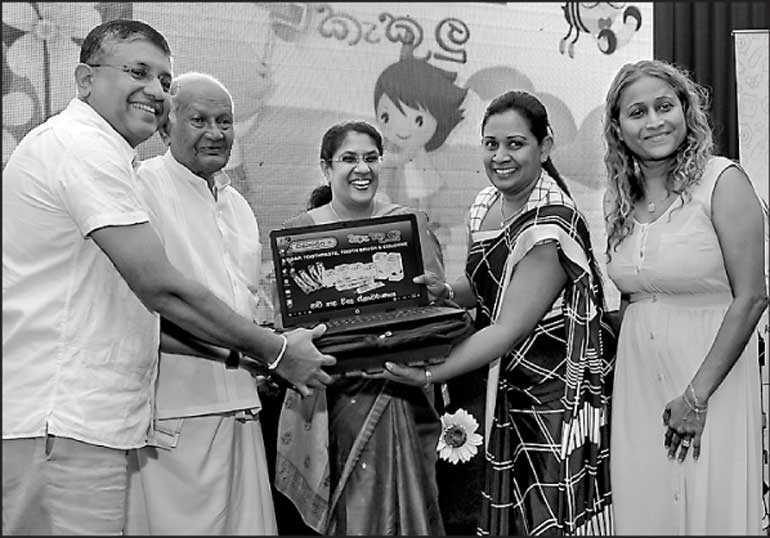 This year’s awards ceremony was held at the Jayawardenapura Centre, Colombo 7 recently. The three all island winners received attractive cash prizes from Siddhalepa and a medal each. All winners received their total school requirements as prizes, a Kekulu products pack and an HNB account with Rs. 1,000 deposit. To encourage and promote wider participation in preschool students, this year Siddhalepa awarded a laptop to the school that sent in the highest number of entries and a first aid box to each of the preschools who sent a comparatively high number of entries. The first aid box included Siddhalepa pharmaceutical products like Siddhalepa balm, Asamodagam and Seethodaka oil. The Kekulu Privilege Card, a loyalty card introduced last year was offered too all those eligible. The loyalty card is the first of its kind for children, giving them a host of benefits like free school books and bags, school equipment, bicycles, and laptops. Promoting a young child’s natural talents in an age where technology drives learning is important and Siddhalepa’s commitment to promote inherent skills and talents in the young is a key component of their Corporate Social Responsibility, together with creating a greener environment for our next generations. “Our commitment to the younger generation is given expression by this all island competition which reaches all our pre-schools in every district, carrying the Siddhalepa message of natural care for infants and young children, through their Kekulu range to all mothers,” said Siddhalepa Group Chairman Deshabandu, Dr.Victor Hettigoda. The Kekulu range of children’s soap, toothpaste, colognes are among the most popular products in the Siddhalepa brand and was introduced by Dr. Hettigoda as pure and natural products to protect babies and very young children’s milk teeth, and rose petal soft skin. The Siddhalepa Group has an 82-year long history of manufacturing a range of medicinal and total care products using the knowledge of ayurveda medicine handed down three generations. Over the years the company has developed state of the art production lines and techniques for their products to meet all quality standard and conform with ISO standards.